NASA’s OSIRIS-REx Mission will take off in 2016 on a mission to visit the near-Earth carbonaceous asteroid (101955) . It will grab a sample of the object and bring it back to earth for analysis. The name 101955 is, to say the least, a bit boring. So the University of Arizona (home of the OSIRIS-REx mission lead team), The Planetary Society and MIT Lincoln Laboratory (the home institution of the discoverers of the asteroid) sponsored a contest to give it a new name. Bennu was an important avian deity in ancient Egypt and one of the symbols of the god Osiris. Egyptians usually depicted Bennu as a gray heron. The double nature of asteroids delivering life’s molecules and sometimes bringing destruction such as the recent fall in Chelyabinsk, Russia, inspired the mission name, OSIRIS-REx, and now the asteroid’s name. NASA Kennedy Space Center posted this program about the Mercury control center. Before one small step for man, and one giant leap for mankind, a team of daring space pioneers and a pair of experimental rocket projects came together and set forth in the nation’s first pursuit to further humankind’s understanding of the Earth and the heavens. With the eyes on the sky and the future of space exploration beyond the horizon, flight controllers inside NASA’s Mercury Control Center watched the American space program take flight. And so here, the story of American space exploration began. An extended look at the President’s proposed NASA budget: Further Analysis of NASA’s 2014 Budget Proposal – The Planetary Society. There will be a conference at the Leuven Centre for Global Governance Studies in Belgium on 12-13 September 2013 that will deal with “legal and policy aspects of the commercial use of space and space tourism”: Call for Papers: Commercial Use of Space & Space Tourism – Legal and Policy Aspects -Res Communis. The 10th Annual Spring [CubeSat] Workshop 2013 took place last week. The agenda (pdf) included a vast array of CubeSat projects, technologies, and applications. You can watch the talks on line: Videos of presentations – CubeSat Workshop 2013. This item via 2013 CubeSat Workshop – KentuckySpace Blog. Science writer Marc Kaufman writes about the growing realization that creating settlements on Mars and elsewhere in space in the not so distant future is not an impossible fiction but something that might actually be doable: Human mission to Mars is no longer just a sci-fi dream – The Washington Post. Download these within the next week. Only four chapters will be available at any one time. ** The electronic version of the updated book is available today for free at The Rocket Company eBook by Patrick Stiennon, David Hoerr, Peter Diamandis, Doug Birkhol: Kindle Store/Amazon.com. Galactic Unite Lesson Plans are now live! Virgin Galactic and Galactic Unite announce the first of their lesson plans and resources! These aim to engage and inspire educators and students around Virgin Galactic’s SpaceShipTwo test flight milestones. These aim to engage and inspire educators and students around Virgin Galactic’s SpaceShipTwo test flight milestones. You can now download free lesson plans, activities and resources from http://virg.in/zUehN , which are pitched at students aged 5-18. Teachers can use these to enhance technology and engineering lessons, as well as help develop aerospace career paths for students around the world. We hope this encourages many more fledgling rocket scientists out there to reach for the stars! Stay tuned for more exciting news about Virgin Galactic SpaceShipTwo and our educational programs via our Galactic Unite website or Virgin Galactic website, Twitter and Facebook. These aim to engage and inspire educators and students around Virgin Galactic’s SpaceShipTwo test flight milestones. You can now download free lesson plans, activities and resources below, which are pitched at students aged 5-18. Teachers can use these to enhance technology and engineering lessons, as well as help develop aerospace career paths for students around the world. We hope this encourages many more fledgling rocket scientists out there to reach for the stars! As with the glider test flights of SpaceShipTwo, the most important part to ensure a successful mission is the ability to secure a safe landing. Test a design’s effect on an aircraft’s landing ability with the first lesson plan ‘Paper Airplane Designs for Safe Landings’ where students will create different paper airplane designs, test and study them, to see which ones land the safest. In the second lesson plan, explore all the ins-and-outs of WhiteKnightTwo, one of the most unique aircrafts in the skies! There are a lot of steps you have to take before you can go into space! In the third lesson plan, follow the timeline of SpaceShipTwo from design, to building the aircraft, and successful test flights. Space exploration and commercial space travel is a growing field. In this final lesson plan, students will learn about potential careers in aerospace. PASADENA, Calif. – NASA’s Cassini spacecraft has provided scientists the first close-up, visible-light views of a behemoth hurricane swirling around Saturn’s north pole. In high-resolution pictures and video, scientists see the hurricane’s eye is about 1,250 miles (2,000 kilometers) wide, 20 times larger than the average hurricane eye on Earth. Thin, bright clouds at the outer edge of the hurricane are traveling 330 mph(150 meters per second). The hurricane swirls inside a large, mysterious, six-sided weather pattern known as the hexagon. Scientists will be studying the hurricane to gain insight into hurricanes on Earth, which feed off warm ocean water. Although there is no body of water close to these clouds high in Saturn’s atmosphere, learning how these Saturnian storms use water vapor could tell scientists more about how terrestrial hurricanes are generated and sustained. Both a terrestrial hurricane and Saturn’s north polar vortex have a central eye with no clouds or very low clouds. Other similar features include high clouds forming an eye wall, other high clouds spiraling around the eye, and a counter-clockwise spin in the northern hemisphere. A major difference between the hurricanes is that the one on Saturn is much bigger than its counterparts on Earth and spins surprisingly fast. At Saturn, the wind in the eye wall blows more than four times faster than hurricane-force winds on Earth. Unlike terrestrial hurricanes, which tend to move, the Saturnian hurricane is locked onto the planet’s north pole. On Earth, hurricanes tend to drift northward because of the forces acting on the fast swirls of wind as the planet rotates. The one on Saturn does not drift and is already as far north as it can be. “The polar hurricane has nowhere else to go, and that’s likely why it’s stuck at the pole,” said Kunio Sayanagi, a Cassini imaging team associate at Hampton University in Hampton, Va.
Scientists believe the massive storm has been churning for years. When Cassini arrived in the Saturn system in 2004, Saturn’s north pole was dark because the planet was in the middle of its north polar winter. During that time, the Cassini spacecraft’s composite infrared spectrometer and visual and infrared mapping spectrometer detected a great vortex, but a visible-light view had to wait for the passing of the equinox in August 2009. Only then did sunlight begin flooding Saturn’s northern hemisphere. The view required a change in the angle of Cassini’s orbits around Saturn so the spacecraft could see the poles. Cassini changes its orbital inclination for such an observing campaign only once every few years. Because the spacecraft uses flybys of Saturn’s moon Titan to change the angle of its orbit, the inclined trajectories require attentive oversight from navigators. The path requires careful planning years in advance and sticking very precisely to the planned itinerary to ensure enough propellant is available for the spacecraft to reach future planned orbits and encounters. The Cassini-Huygens mission is a cooperative project of NASA, the European Space Agency and the Italian Space Agency. JPL, a division of the California Institute of Technology, Pasadena, manages the Cassini-Huygens mission for NASA’s Science Mission Directorate in Washington. The Cassini orbiter and its two onboard cameras were designed, developed and assembled at JPL. The imaging team consists of scientists from the United States, the United Kingdom, France and Germany. The imaging operations center is based at the Space Science Institute in Boulder, Colo.
Copenhagen Suborbitals posted this video today. It gives a description of the guidance and control system of Copenhagen Suborbitals Sapphire rocket. The entire crew of Copenhagen Suborbitals are working hard these days. Summer is coming and in a short time we will attempt to launch our first actively guided rocket “Sapphire”. Sapphire is a test vehicle. It’s only purpose is to verify that our guidance software and control systems work. As mentioned before the Sapphire rocket is not built to reach space – but will give us invaluable information on active guidance and how to control a rocket in flight. We will use the test results to evaluate and upscale the guidance system so it can be used to guide our bigger rockets that are already in production. The launch window for Sappire will be announced very shortly. As always we will provide a live and commented video feed of the launch. While you wait we have compiled this second video where Lead Guidance Officer Flemming Nyboe explains how Sapphire’s guidance system works. Update: Kristian von Bengtson writes more about their plans for Sapphire: Full Time Preparations for Launching the Sapphire – and Happy Hour at Copenhagen Suborbitals – Wired Science/Wired.com. Here are reports on two potential big improvements in solar power collection. And a new paper in Science reports on a technique to hurdle over a fundamental barrier to the efficiency of photons creating free electrons in solar cells: New solar cell coating could boost efficiency – R&D Magazine. 1. Monday, April 29, 2013, 2-3:30 PM PST (5-6:30 PM EST, 4-5:30 PM CST): ED WRIGHT joins us for Citizens in Space updates and info about the upcoming Space Hacker Workshop in Silicon Valley: http://spacehacker.eventbrite.com/#. 2. Tuesday, April 30, 2013 2013, 7-8:30 PM PST (10-11:30 PM EST, 9-10:30 PM CST): Retired astronaut JERRY ROSS is with us to discuss his new book, Spacewalker. 3. Friday, May 3: , 2013, 9:30-11 AM PST (11:30- 1 PM CST, 12:30PM-2:00 PM EST): As of press time, our guest for this program is yet to be determined but will either be DR. SARAH CRUDDAS of the UK or FRANK STRATFORD from Australia. We are awaiting final scheduling requirements. Please check the website newsletter for guest details and any program time changes for this Friday program. You can find the website newsletter at www.thespaceshow.com/newsletterfinal.htm. 4. Sunday, May 5, 2013, 12-1:30 PM PST (3-4:30 PM EST, 2-3:30 PM CST). We welcome HU DAVIS AND BILL KETCHUM to the show to discuss space policy, SSP [Space Solar Power], and much more, all from two highly regarded and well respected space veterans. The Tranquility Base blog hosts the latest Carnival of Space. Marc Fusco talked on The Space Show on Sunday about “Space history and presidential politics with JFK, Presidents Johnson & Nixon”: Marc Fusco, Sunday, 4-28-13 – Thespaceshow’s Blog. Jeff Foust of The Space Review (+ spacetoday.net, Space Politics, and NewSpace Journal) spoke on the John Batchelor Show last Tuesday 04/23/13 about the Chelyabinsk fireball event. This NASA video presents the EarthKAM program, which lets students control a camera on the International Space Station to take images of the earth. Since the earliest days of the space program, astronauts have taken photos of the Earth from space to capture the beauty of the planet and to document the impacts of man-made and natural events. While only a small percentage of people are fortunate enough to witness this view firsthand, since 2001 the EarthKAM investigation has enabled students to remotely program a camera positioned in an Earth-facing window of the International Space Station and capture their own photographs of the world from space. Space Station Live commentator Pat Ryan recently spoke with several EarthKAM participants to learn more about how teachers and students are using this experiment to study our home planet. View Alison’s EarthKAM photo: http://images.earthkam.ucsd.edu/main…. View Andrew’s EarthKAM photo: http://images.earthkam.ucsd.edu/main…. Teachers interested in incorporating EarthKAM into their own classrooms are invited to visit the EarthKAM site and sign up for the next mission. 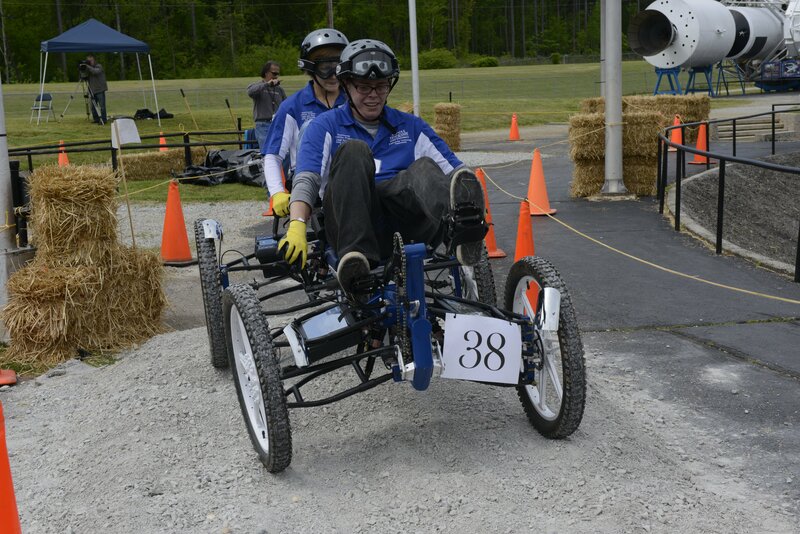 Organized by NASA’s Marshall Space Flight Center in Huntsville, the race challenges students to design, build and race lightweight, human-powered buggies. Traversing the grueling half-mile course, which simulates the cratered lunar surface, race teams face many of the same engineering challenges dealt with by Apollo-era lunar rover developers at the Marshall Center in the late 1960s. The winning teams post the fastest vehicle assembly and race times in their divisions, with the fewest on-course penalties. The team from Teodoro Aguilar Mora Vocational High School, in its third year in the competition, finished the half-mile course in 3 minutes, 24 seconds. The University of Puerto Rico at Humacao, who won second place in the college division in the 2012 race, brought home a first-place win, finishing in 3 minutes, 32 seconds. Finishing in second place this year in the high school division was Jupiter High School Team 1 of Jupiter, Fla. In third place was Jupiter High School Team 2.
International Space Education Institute/Moscow Aviation University “Team Russia” of Moscow won second place in the college division; and Middle Tennessee State University of Murfreesboro took home third place. Race organizers presented both first-place winners with trophies depicting NASA’s original lunar rover. Sponsor SAIC of Huntsville provided every participating moonbuggy team with a commemorative plaque. Sponsor Lockheed Martin Corp. of Huntsville presented the first-place high school and college teams with cash awards of $3,000 each. The race is inspired by the original lunar rover, first piloted across the moon’s surface in the early 1970s during the Apollo 15 mission, and used in the subsequent Apollo 16 and 17 missions. Eight college teams participated in the first NASA Great Moonbuggy Race in 1994. The race was expanded in 1996 to include high school teams, and student participation has swelled each year since. 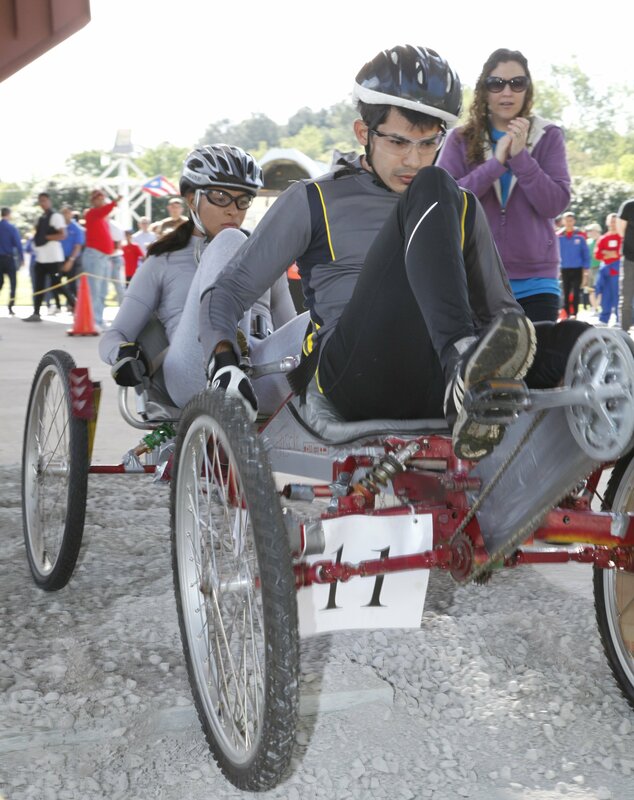 NASA’s Great Moonbuggy Race has been hosted by the U.S. Space & Rocket Center since 1996. Major corporate sponsors for the race are Lockheed Martin Corporation, The Boeing Company, Northrop Grumman Corporation, Aerojet and Jacobs Engineering ESSSA Group, all with operations in Huntsville. Academy of Arts, Careers & Technology in Reno, Nev.
Southern Illinois University at Carbondale in Carbondale, Ill.
Purdue University Calumet Team 1 in Hammond, Ind. Fairhope High School Team 1 and Team 2 in Fairhope, Ala.
Bevill State Community College Team 1 in Sumiton, Ala.
Huntsville Center for Technology Team 1 in Huntsville, Ala.
New Britain High School in New Britain, Conn.
NASA hopes asteroid missions will pump life into its human exploration program: Asteroid Capture Seen As Catalyst For Exploration – Aviation Week. Meanwhile, the Japanese space program looks to be retrenching: Japanese Space Program Braces For Cuts – Aviation Week.